The days of one size web design are long gone. With emerge of tablets & smart phones, a significant portion of internet users have been shifted to use their mobile devices rather than their computer. We highly recommend your website to be responsive, since it is absolutely crucial to be compatible on variety of mobile devices. It may be slightly more expensive, but the pay off is well worth it. 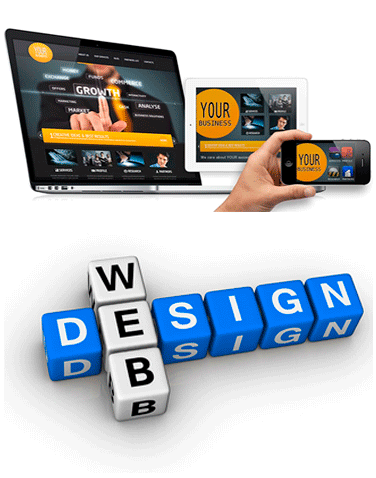 All custom web sites we design are built from ground up. Our job is to work within your budget. We understand that custom websites are expensive to build. We do offer template websites for cases that budget is very limited. In those cases, we work with you to find the right template that offers the theme & design that fits your business, your requirements and meet your objectives. Once we have all the information, we normally provide you with a few recommended choices from our 300+ templates that we have. However, even in those cases, we may modify the template to fit your needs. In addition, all of our websites include the minimum SEO components that are recommended for internet visibility & searches. We believe that it is a disservice to client to deliver a website without building SEO components. At the minimum, the goal of every website should be visibility & web presence. Therefore, we pledge to you that do not settle for inexpensive or cost effective services. It is one of the first initial impressions that your business makes on prospective client. Your website is the face your business that you show to every client, every potential customer, every visitor who finds your website. It should be impressive, beautiful, functional & most importantly optimized. It should provide what the visitor needs & expects. Unfortunately such sites are time consuming & tedious to build due to extra coding & graphic works & involves advance technical tasks. They require state of the art equipment & advance skill set. In short, if it is cheap, it is taken out of somewhere. When we start the process of building a website, we focus on clients’ businesses, brands and reputations for a professional-looking website while we remain creative, affordable & competitive. We deliver your website with a clean code, layout and design, that’s easy to navigate, fast loading, compatible with multiple browsers, customized to your business & ready to be used as your advertising platform on the web. And last, whether you choose us or another firm to design your business site, you need to arm yourself with at least some basic knowledge when you go shopping for your site. We have gathered some very informative information from several prominent resources on the web that helps you to achieve just that. We encourage every business owner who has a website or will need a website to read these resources, since your website is foundation for your online presence and a high traffic showroom of your business to thousands of your potential customers. Don’t lose them easily.